Be Well Prepared and Well Fed! With all the uncertainty in the world today, there is peace in preparing. In an emergency, you don't want to depend on a grocery store or government agency to feed your family. Storing food assures your family's self-sufficiency year-round and benefits your budget when you plan correctly. This in-depth, nuts-and-bolts guide to storing food teaches you a variety of food storage methods that you can customize to meet your family's unique circumstances including family size, tastes, ages, health concerns, income, and living conditions. This is not a generic manual on stocking dehydrated meals that have ten-year shelf lives. It's the guide to storing foods your family loves so you can eat well no matter what challenges life throws at you. Food-storage options for 72-hour emergency kits, short-term emergencies and long-term survival. Food-storage planning methods that incorporate the foods and meals your family loves. Tips for how to maintain balance and variety in your food storage. Budget-friendly ways to purchase food for storage. Easy and practical ideas for cooking with food in storage so nothing expires or goes to waste. Organization and storage methods for easy food store maintenance. Water storage and purification methods. Canning, freezing and dehydrating methods to preserve food you produce at home. Storing food gives you the freedom to stretch your income in tight-budget months, pack quick meals for short-notice trips, and create healthy meals without constantly going to the grocery store. Plus your stored food is available if you do experience an emergency power outage, natural disaster, long-term illness or job loss. 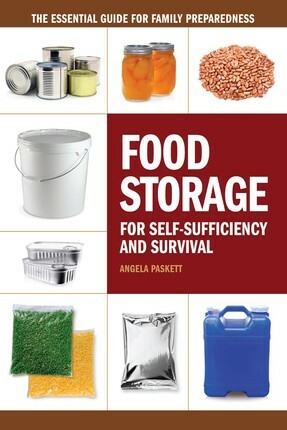 Let this guide help you start building your self-sufficiency and food storage today.